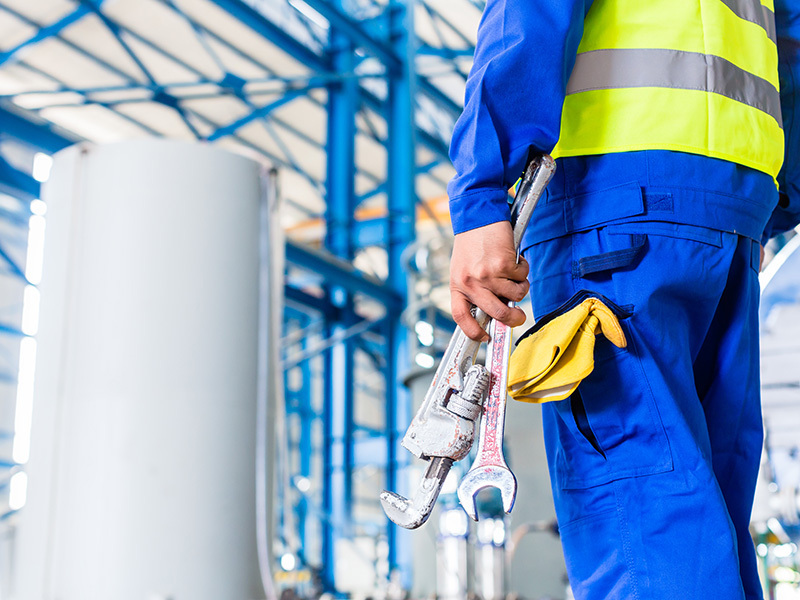 In some instances, plant managers pull existing pumps from production and replace them with temporary spare pumps while the original pumps are being serviced. This effort also increases downtime and labor expenses. Fortunately, new “maintenance-friendly” pump designs are eliminating many of the repetitious service needs that are characteristic of older pumps. For instance, new low-pulsation quaternary diaphragm pumps require minimal maintenance. Replacement of wear parts, such as bearings, is easy. A cam kit for a new quaternary diaphragm pump can be replaced in less than one hour. Seal-less design: Mechanical seals need regular replacement or repair. Double mechanical seals, which aid in pumping viscous products, are particularly expensive to acquire and maintain. New quaternary diaphragm pumps do not include mechanical seals. This seal-less design also reduces the risk of leak ­– and contamination ­– due to a seal failure. Dry-run safe: Running a pump dry that is not engineered to tolerate these operating conditions can cause internal parts of the pump to overheat, melt and/or seize up. Because new quaternary diaphragm pumps do not include mechanical seals, the risk of expensive damage resulting from dry-running is eliminated. Self-priming: Certain pump types, such as centrifugal, require operators to prime the pump prior to use. Failure to do so can cause the pump to run dry, the mechanical seal to fail, and can significantly damage pump components. Most positive displacement pumps are self-priming, including new quaternary diaphragm pumps. Plant managers who select pumps to reduce maintenance investments over the course of the service life of the equipment will position their operations for lower costs and higher margins. With unmatched technical expertise and extensive experience in the nuances of food, beverage, brewing, dairy and pet food manufacturing, Triangle Process Equipment sales representatives are here to help recommend a pump that will improve operations at your plant. Download our white paper to learn more about how today’s advanced pumps save time and money on the production floor.